Republican members of Congress were critical of Google CEO Sundar Pichai for his company’s decision to give the Southern Poverty Law Center power to help monitor the content of videos on YouTube. Pichai gave testimony on Tuesday before the House Judiciary Committee regarding issues of Google political bias, privacy concerns, and transparency. Congressman Louie Gohmert of Texas began his remarks by commending Pichai for what his company does and by noting that he opposes excessive government regulation of Google. As an example, Gohmert cited Google’s decision to make the Southern Poverty Law Center one of more than one hundred non-government entities that monitors YouTube's content as part of the site’s "Trusted Flaggers" program. “The Southern Poverty Law Center really has stirred up more hate than about any other group I know,” stated Gohmert, who then cited the 2012 attempted mass shooting at the Family Research Council headquarters by Floyd Lee Corkins. A gay rights activist, Corkins explained to authorities that he decided to target the FRC because of their placement on the SPLC’s list of hate groups. 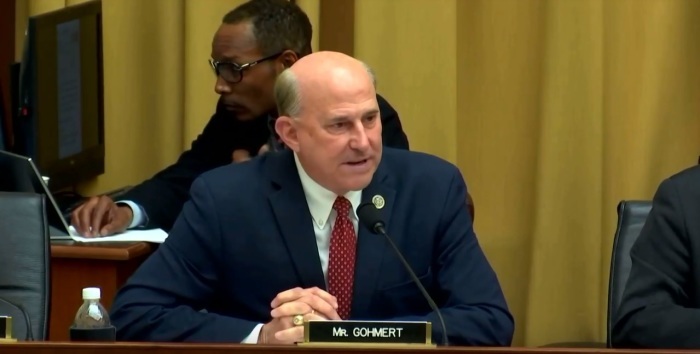 Gohmert argued that Google should be liable when his company and the companies they are connected to use their technology to attack conservatives. Pichai also noted that Google has “reached out to a wide variety of organizations, including conservative organizations” for their “trusted flagger” program. He also welcomed suggestions for conservative groups to add to their list. In recent times, YouTube and other social media sites have been criticized for their reported censorship and mistreatment of conservative accounts and posts. In February, YouTube restricted access to a video posted by the conservative nonprofit PragerU featuring pro-life activist Lila Rose criticizing Planned Parenthood. Titled "What You Need to Know about Planned Parenthood," the video was restricted within hours of being uploaded, making it harder for it to be viewed by people with certain privacy settings. In 2017, conservative theologian and radio host Dr. Michael Brown saw his YouTube videos demonetized and saw a drop in viewership after Google deemed his videos unsuitable for advertisers.